Take the train from Aalborg St. to Hobro St.
Take the train from Vejle St. to Hobro St.
What is the cheapest way to get from Copenhagen to Mariager? The cheapest way to get from Copenhagen to Mariager is to bus which costs 210 kr - 330 kr and takes 6h 14m. What is the fastest way to get from Copenhagen to Mariager? The quickest way to get from Copenhagen to Mariager is to drive which costs 330 kr - 490 kr and takes 3h 36m. Is there a direct bus between Copenhagen and Mariager? No, there is no direct bus from Copenhagen to Mariager. 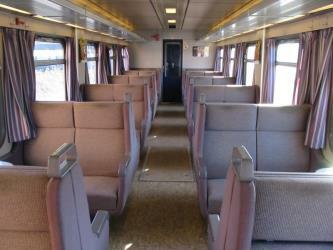 However, there are services departing from Copenhagen and arriving at Gl. Hobrovej via Aarhus Rutebilstation and Randers Busterminal. The journey, including transfers, takes approximately 6h 14m. How far is it from Copenhagen to Mariager? The distance between Copenhagen and Mariager is 194 km. The road distance is 361.4 km. How do I travel from Copenhagen to Mariager without a car? The best way to get from Copenhagen to Mariager without a car is to train which takes 5h 33m and costs 360 kr - 550 kr. How long does it take to get from Copenhagen to Mariager? It takes approximately 5h 33m to get from Copenhagen to Mariager, including transfers. Where do I catch the Copenhagen to Mariager bus from? 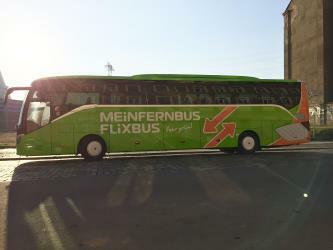 Copenhagen to Mariager bus services, operated by FlixBus, depart from Copenhagen station. Train or bus from Copenhagen to Mariager? The best way to get from Copenhagen to Mariager is to train which takes 5h 33m and costs 360 kr - 550 kr. Alternatively, you can bus, which costs 210 kr - 330 kr and takes 6h 14m. How long is the flight from Copenhagen to Mariager? Where does the Copenhagen to Mariager bus arrive? 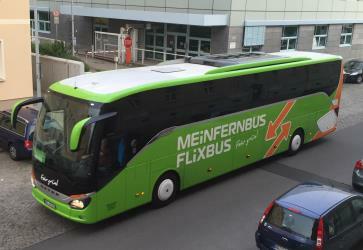 Copenhagen to Mariager bus services, operated by FlixBus, arrive at Aarhus station. What companies run services between Copenhagen, Denmark and Mariager, Denmark? Danish Railways (DSB) operates a train from Copenhagen to Mariager hourly. Tickets cost 340 kr - 490 kr and the journey takes 4h 11m. 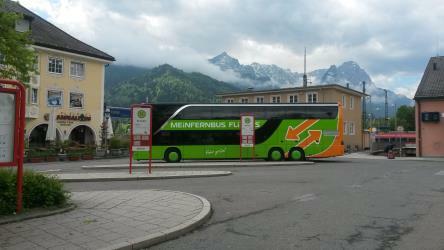 Alternatively, FlixBus operates a bus from Copenhagen to Mariager hourly. Tickets cost 110 kr - 180 kr and the journey takes 3h 45m. 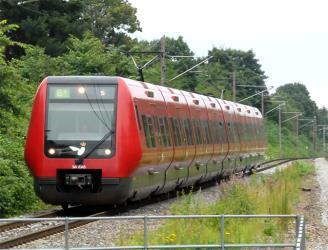 Train from København H to Hobro St. 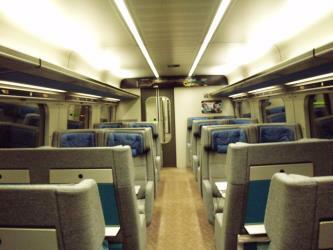 Train from Aalborg St. to Hobro St. Train from Vejle St. to Hobro St.
Can I drive from Copenhagen to Mariager? Yes, the driving distance between Copenhagen to Mariager is 361 km. It takes approximately 3h 36m to drive from Copenhagen to Mariager. Where can I stay near Mariager? There are 243+ hotels available in Mariager. Prices start at 307 kr DKK per night. Discover how to get to attractions and hotels near Mariager. Fyrkat is a former Viking ring castle in Denmark, dating from c. 980 AD. It is located near the town of Hobro, some distance from the present end of the Mariager Fjord in Northern Jutland. The fortress is built on a narrow piece of land, with a stream on one side and swampy area on the other sides. It would have enabled control of the traffic on the main land route between Aalborg and Aarhus. Randers Tropical Zoo (Danish: Randers Regnskov) is an indoor zoo in Randers, Denmark. It is located in three big domes, with the biomes of Africa, Asia, and South America. The domes contain animals from the biomes, and most of the animals live freely in the domes. In addition there are many reptiles, a snakeyard with free harmless snakes, and a saltwater aquarium with tropical fish. Rebild National Park (Danish: Rebild Bakker) is a protected area located in Rebild municipality in Region Nordjylland in Denmark. The Ålum Runestones are four Viking Age memorial runestones which are located at the church in Ålum, which is 9 km west of Randers, Denmark. One of the stones refers to a man with the title drengr and two of the other stones were raised by the same family. Rome2rio makes travelling from Copenhagen to Mariager easy. Rome2rio is a door-to-door travel information and booking engine, helping you get to and from any location in the world. Find all the transport options for your trip from Copenhagen to Mariager right here. Rome2rio displays up to date schedules, route maps, journey times and estimated fares from relevant transport operators, ensuring you can make an informed decision about which option will suit you best. Rome2rio also offers online bookings for selected operators, making reservations easy and straightforward.